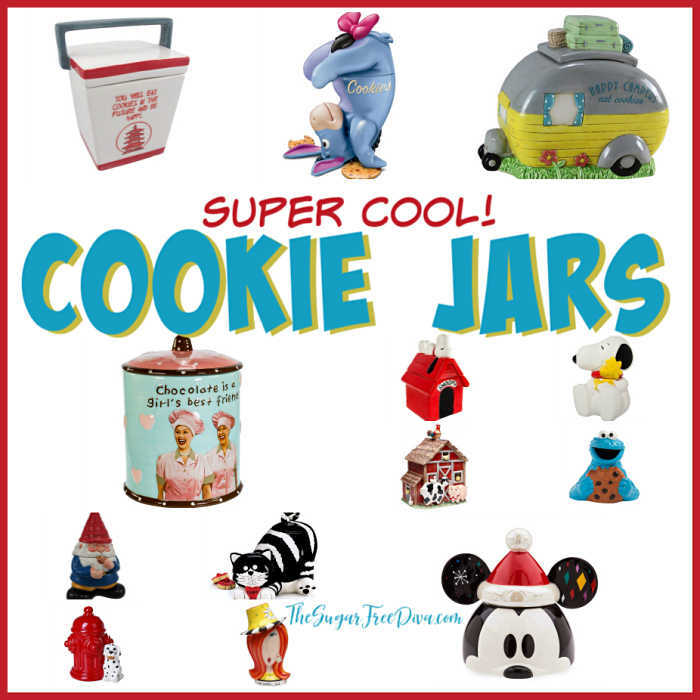 I love the idea of Super Cool Looking Cookie Jars! Fun looking cookie jars can really add a lot to a room. Adding a cookie jar to a kitchen decor is an inexpensive way to liven up the room. Not only that, cookie jars also serve as a functional storage spot. These cookie jars would also make great gift ideas. 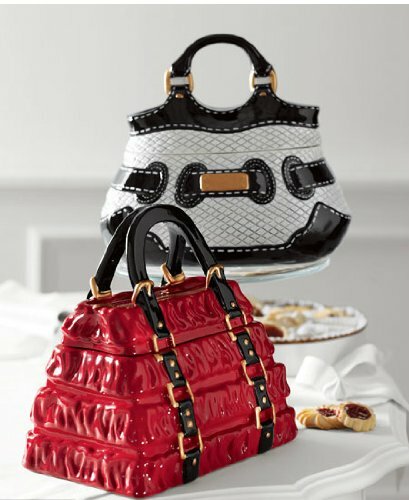 There seems to be a cookie jar for about every kind of taste. I would probably fill them for the recipient too! 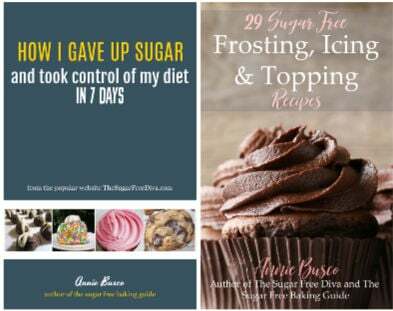 Sugar Alternatives for Holiday Baking. 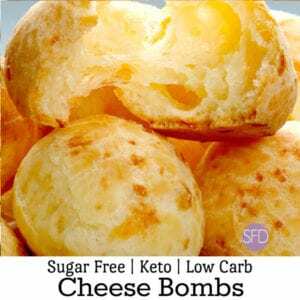 Accessories for Instant Pots and Pressure Cookers. 7 things You Need for your Sink. Possibly my favorite of this group! Kurt S. Adler I Love Lucy Cookie Jar. Perfect for fans and collectors of i love Lucy. Gnome Sweet Gnome Cookie Jar. 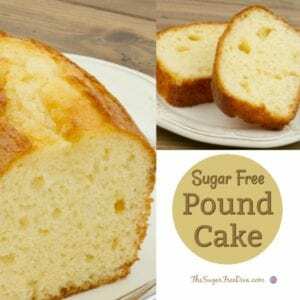 I know someone who needs this one! his gorgeous 10 Inch Gnome Sweet Gnome Cookie Eating Ceramic Jar Figurine has the finest details and highest quality you will find anywhere! 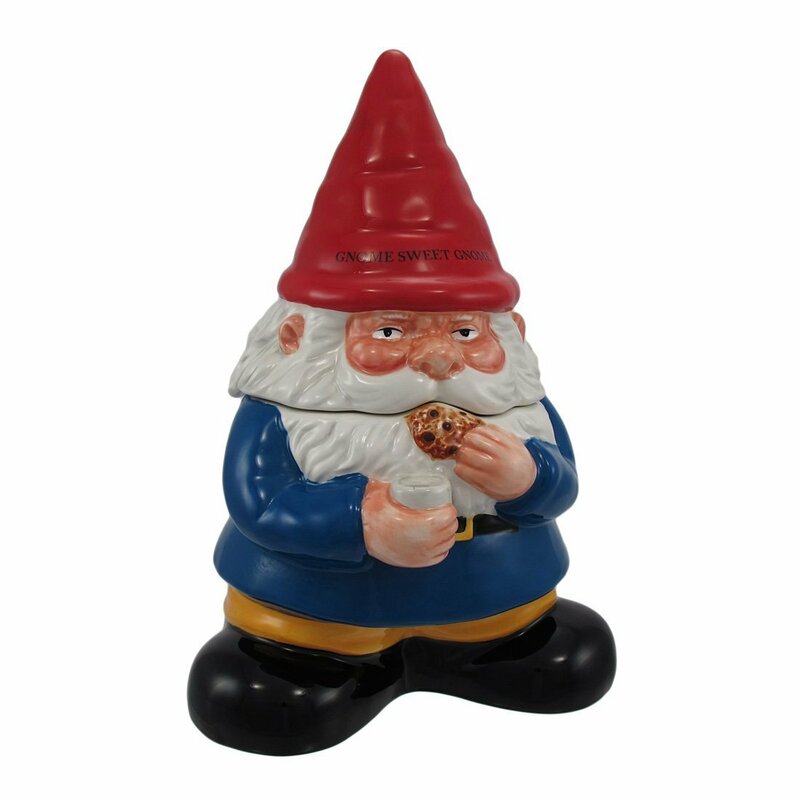 10 Inch Gnome Sweet Gnome Cookie Eating Ceramic Jar Figurine is truly remarkable. 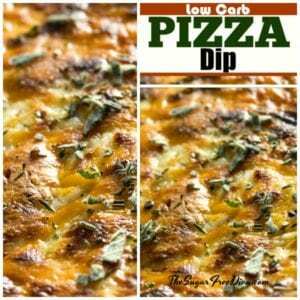 How cool- Diet Cookies too! 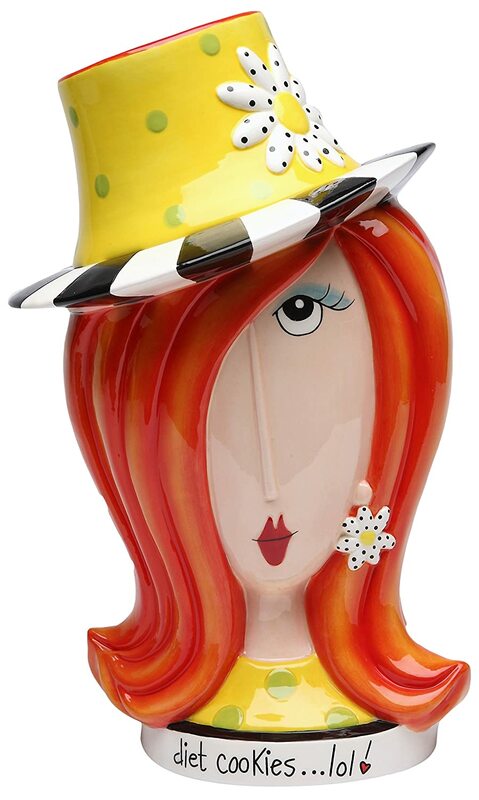 Diet LOL Cookies Daisy Lady in Small Hat Cookie Jar. Measurement: H: 10.88 x W: 6.50 x D: 6.38. 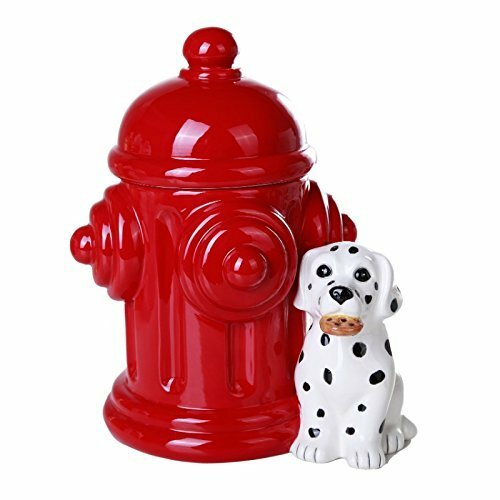 Firehouse Dalmatians and Fire Hydrant Ceramic Cookie Jar . Cookie jar is comes air tight to keep the freshness of your baked goods.. I once gave this to someone for their birthday. Black and White Handbag Cookie Jar with Gold Buckle. Measures 9″W x 6″D x 9″T. 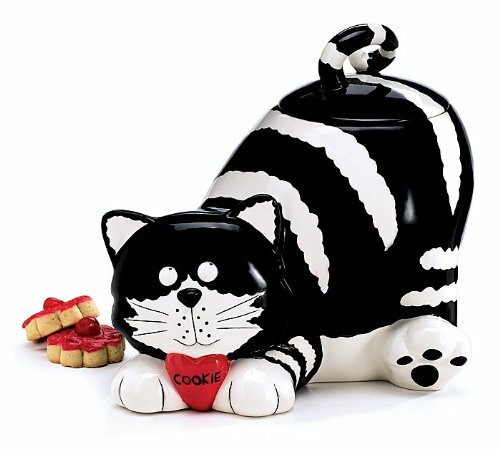 Chester The Cat/Kitty Cookie Jar . Measures 8″ H x 8″ W x 6.5″ D.
Well, this seems like an obvious one! 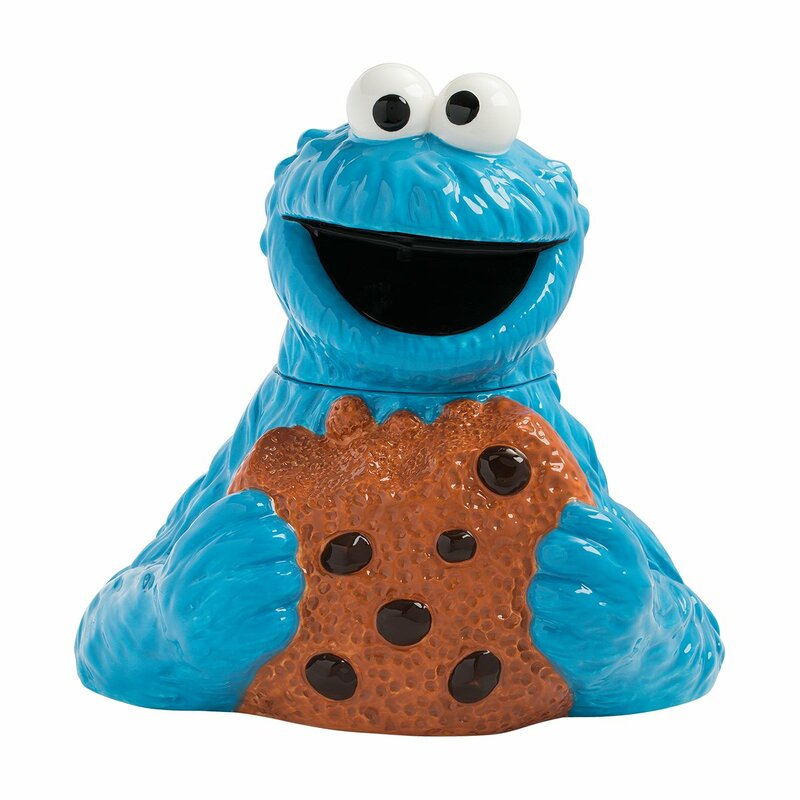 Sesame Street Cookie Monster Sculpted Ceramic Cookie Jar . Perfect for any Sesame Street fan. Snoopy always seems to be a good choice. 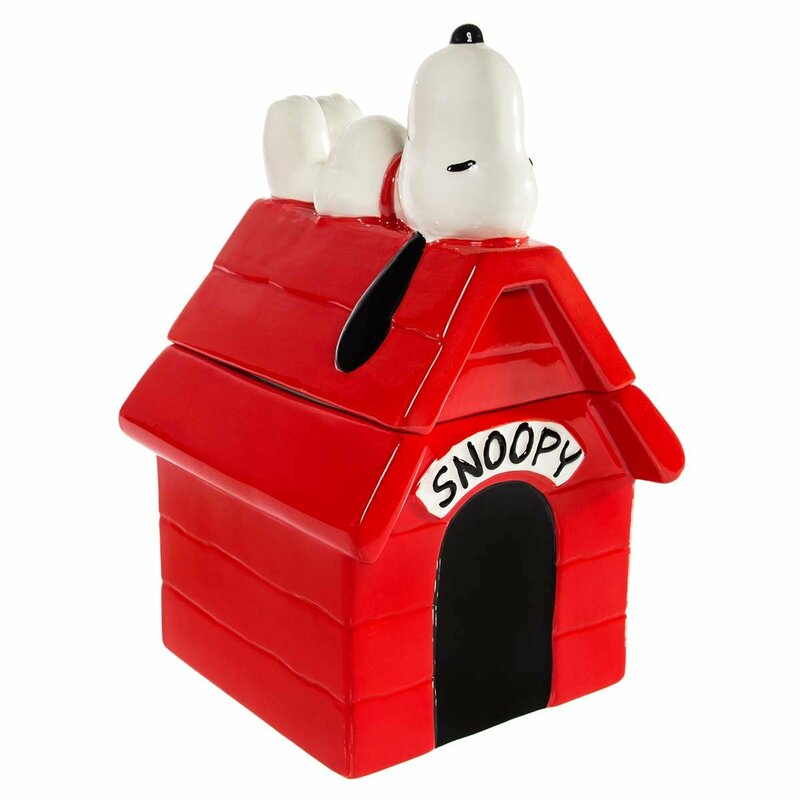 Colorful red glazed dolomite ceramic holder; durable & reliable; part of roof on house becomes cookie jar lid, square cookie jar décor; Great snoopy gifts. 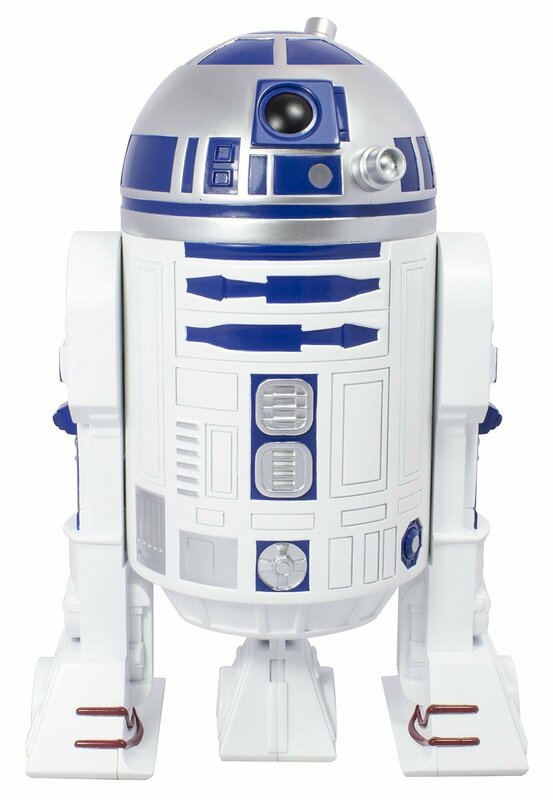 For the Star Wars Fan of course.. I know what I would put into this one! 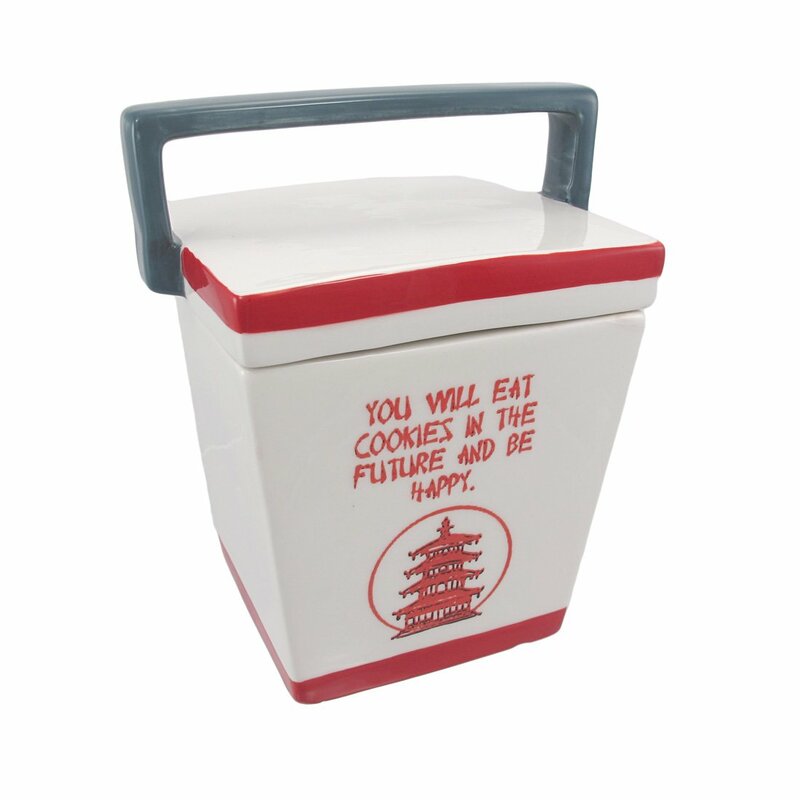 Take-Out Box Ceramic Cookie Jar . 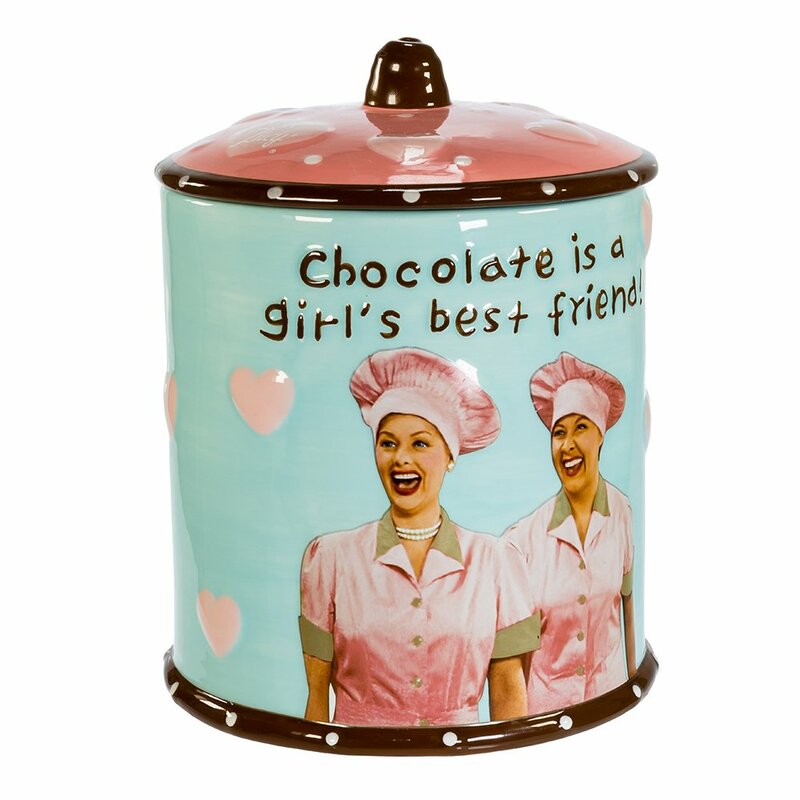 This cookie jar is really cute! 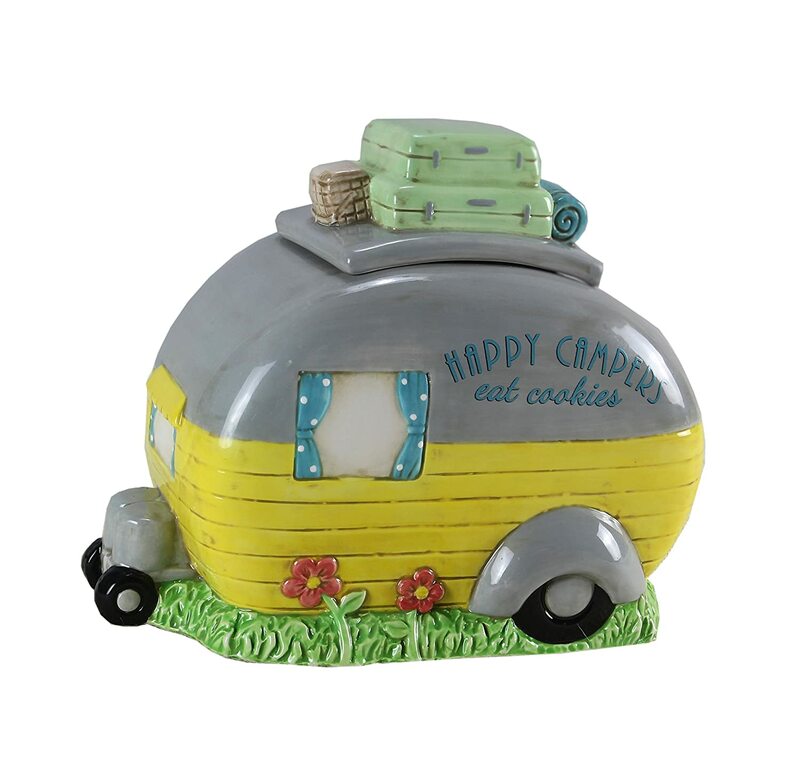 Ceramic Camper Cookie Jar, . Ceramic and dolamite material. constructed with quality and durability in mind. 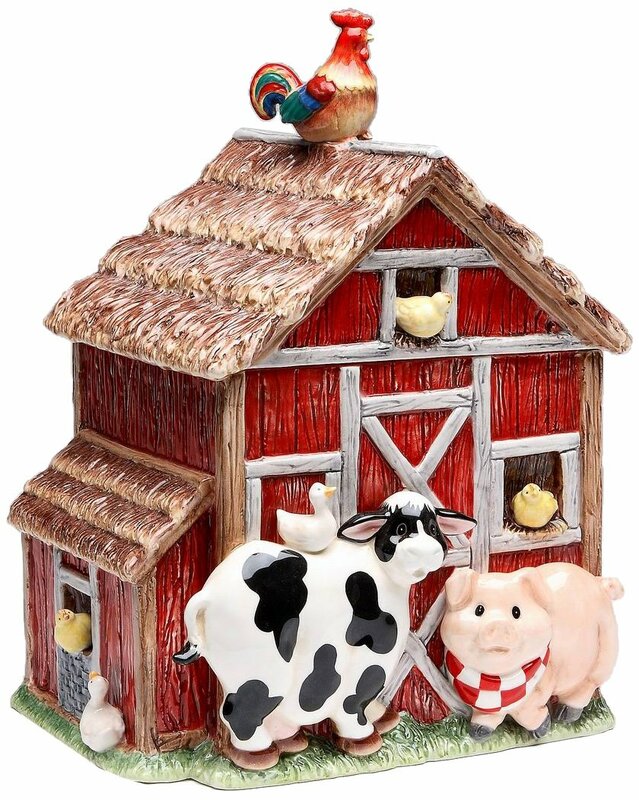 Unique and colorful, add fun and whimsy to your kitchen and home décor. This is more of a collectors item that may be in small supply. 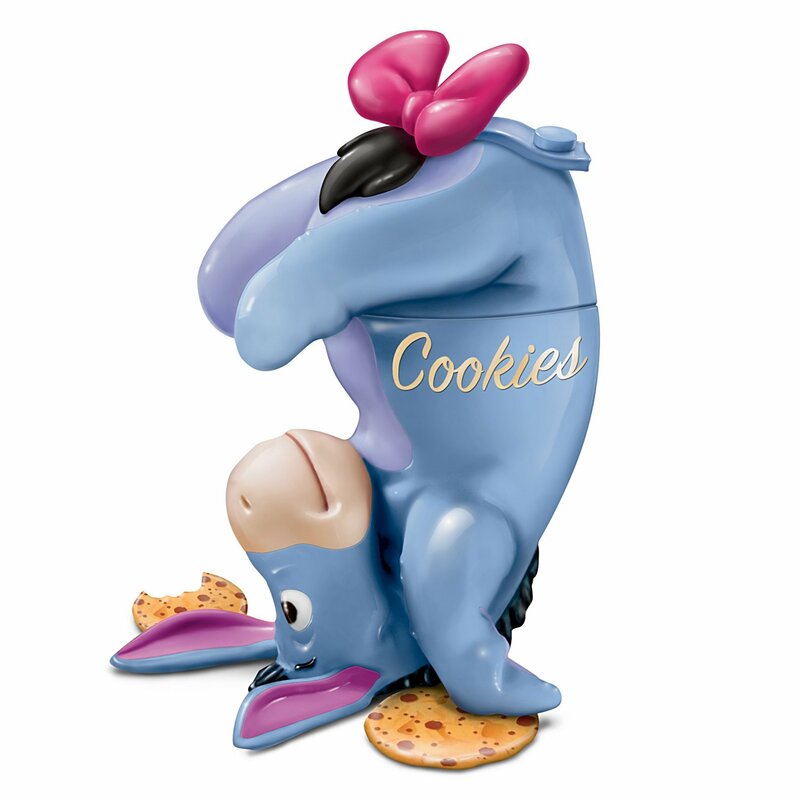 Disney Eeyore Fully Sculptural Stoneware Cookie Jar by The Bradford Exchange. 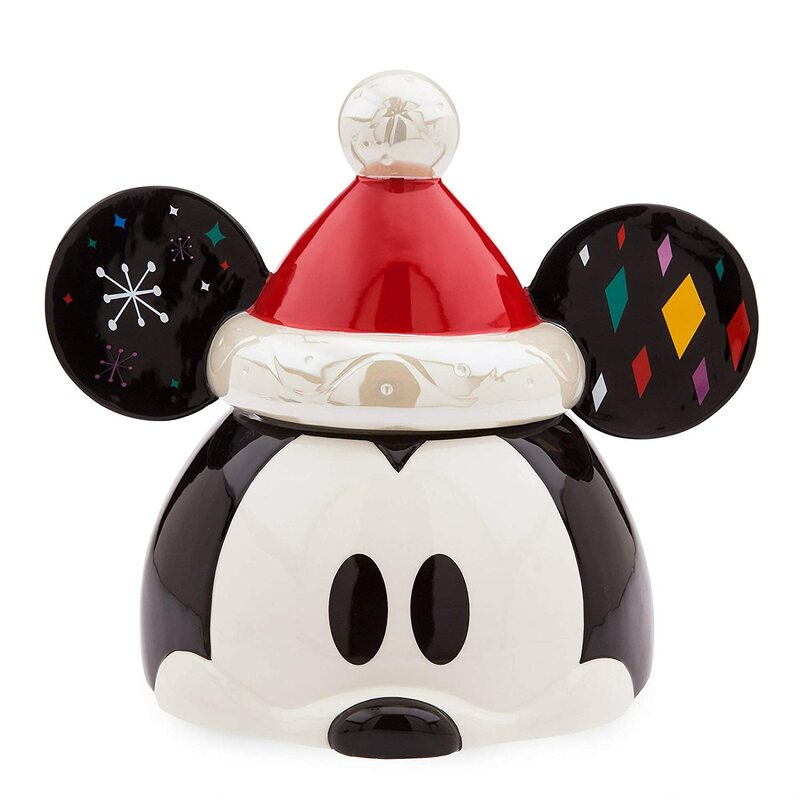 Disney Mickey Mouse Holiday Cookie Jar. Makes a great holiday centerpiece. 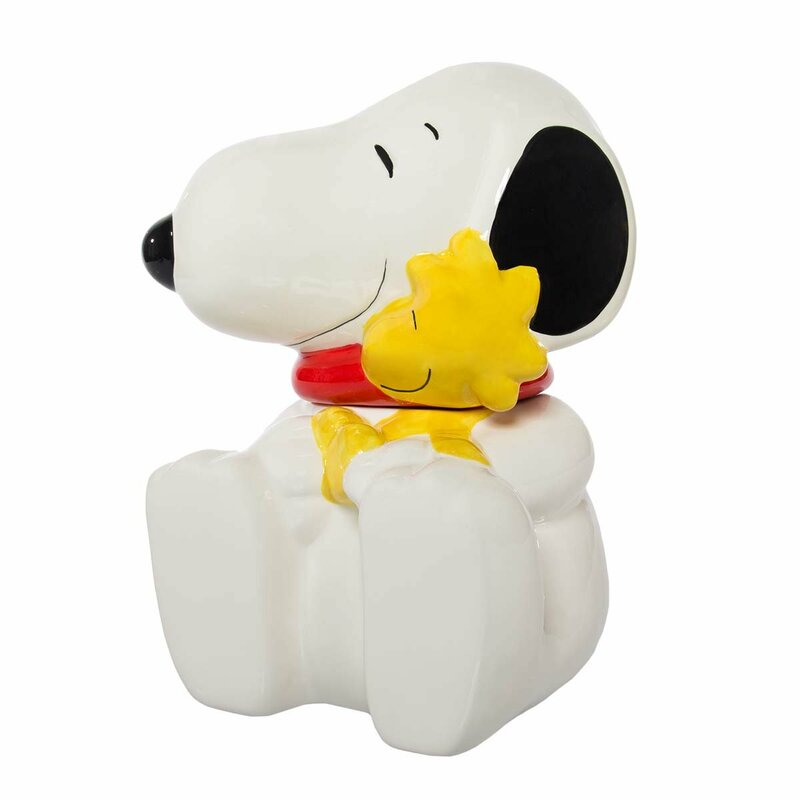 Snoopy fans love this cookie jar! Delightful design from Gibson, made in China; 10.5”H x 8”W x 7”D. For the person who has about everything! 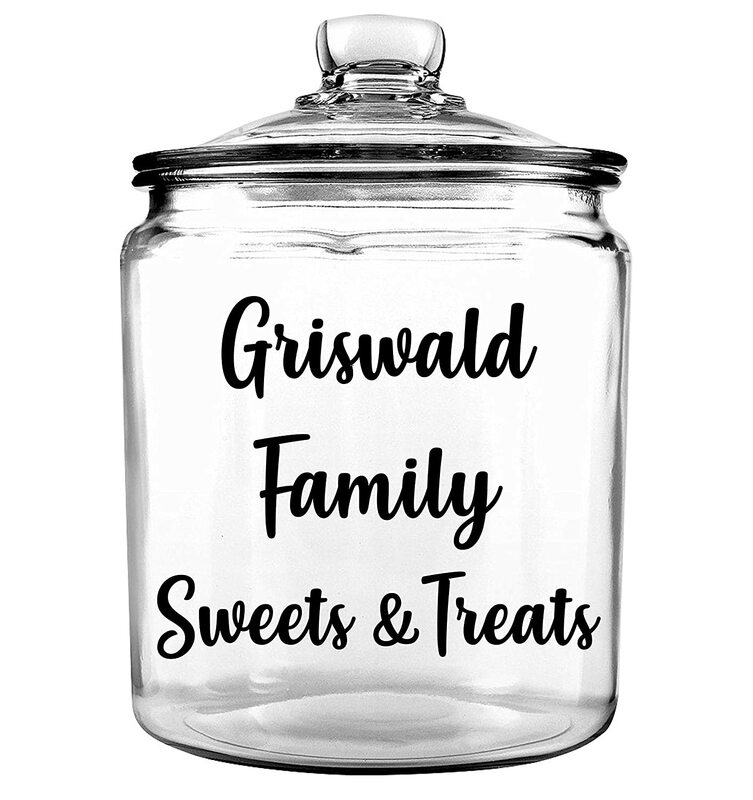 Personalized 1/2 Gallon Glass Jar with Cover. Ideal counter top storage solution is vintage yet trendy. Hand washing is recommended. This timeless design is made of glass and overall measures: 5.65 x 5.65 x 8.34 Inches. Personalization is included!.